Buying A Family Home Vs. Building One: What Are The Pros & Cons Of Each? Whether your family has outgrown your home or you want to move to be closer to better schools, you're probably wondering what your best option is. The chances are you’ve heard a lot of good things about building a home instead of buying one. And so, are starting to wonder whether that could be a good route to go down. To make the decision process a little easier for you, and to help you make a more informed decision, below is a list of the pros and cons of each option. Have a read and see which option seems like the best fit for yours’ and your family’s needs. Let’s start with the pros. The single biggest pro of choosing to build a home instead of buying one is that you have complete control over the design of the property. Whether you’ve always dreamed of creating an eco-friendly home or a certain style of property, you can do it. Another benefit of opting to build a property is that you can choose how it’s laid out and what rooms it has. Always dreamed of having an attic living room looking out over the countryside? Or have you always wanted a glass fronted living room? Whatever you imagine your dream home to be, building a property from scratch allows you to achieve that dream. Unless you’ve got a background in design and constructional, you’ll need a little help from a professional company. Have a browse online and look for suitable companies like Nidus Professional Architects, for instance. As for the cons, the two biggest downsides to building a home instead of buying are the cost and the time it will take. You see, unlike a ready built property, you can’t move in straightaway, you have to wait until it’s been built. This can take anything from a few months to a couple of years, depending on who’s doing the building work. As for the cost, sometimes it can be more expensive to build a house than buy one. However, it’s worth noting that the value of the property will probably be higher than a pre-built home of the same size. This is because it will have all of the newest fittings and features. 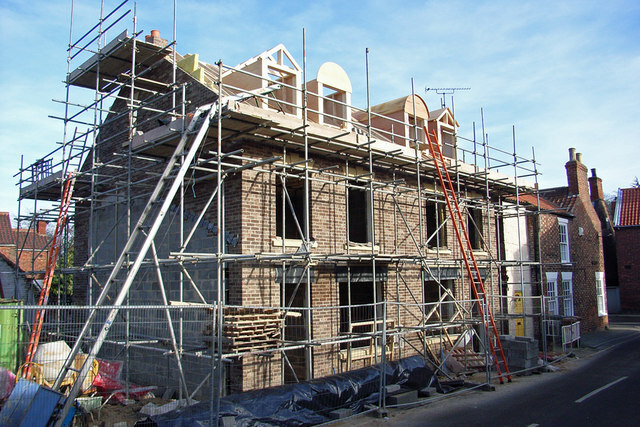 The two main advantages of buying a ready built home are convenience and cost. When you buy a ready built home, you can normally move into it within a month or two. Plus, most readymade houses tend to be livable immediately, meaning that you can move in and live comfortably. Of course, you might want to make a few small changes, but they don’t tend to be major things. As for the cost, most pre-built houses are cheaper than building a property of the same size. As for the cons of buying a home, the most common thing that puts buyers off is not being able to find a property that is exactly what they’re looking for. Often, buyers have to compromise on certain aspects of property. The most common things to compromise on are size, layout, and location. Whereas, this doesn’t tend to be the case when building a property from scratch. When it comes to deciding which option is best, it’s not a case of one being better than the other. It’s just about you making an informed decision for your family. If you’ve got the time and money to build a property, that’s probably the better option to opt for. However, if you need a home quickly, then buying is your best bet.